We were out snowshoeing today in the warm (44°F or 7°C) and beautiful weather. I saw something here in New Hampshire that I never see in Vermont until the end of March: the snow tunnels that mice, shrews and voles use are already being exposed as the snow pack melts. This tunnel was in the middle of a field. This hints at a complex of intricate tunnels that go down deeper in the snow where we see the tunnels disappear. 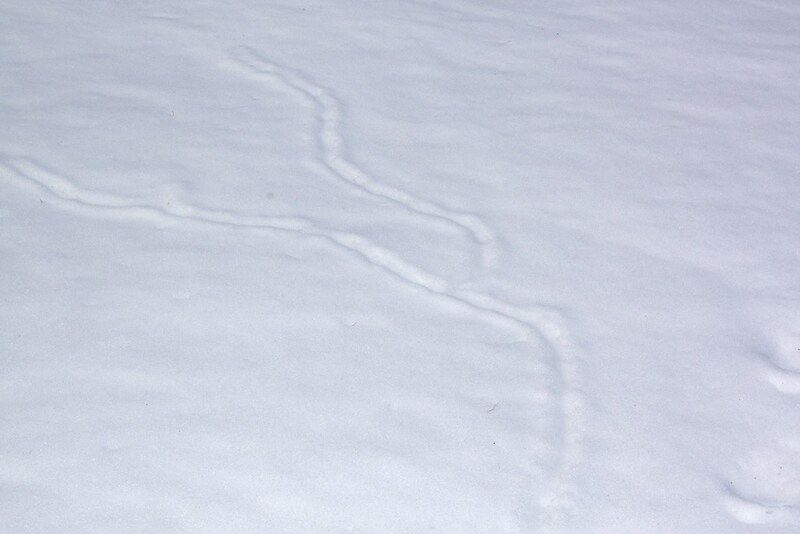 I'd love to shrink up and explore under the snow with the little rodents.